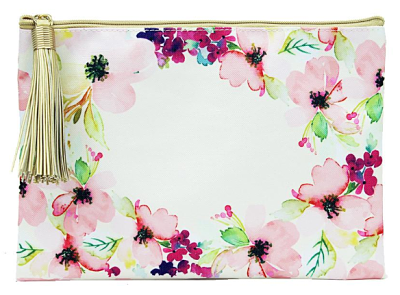 Are you tired of not being able to find your touch up makeup in your purse? 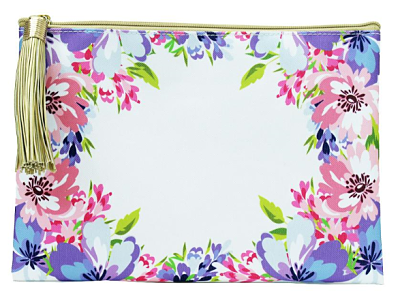 This is the perfect size pouch to hold all of those daily desired essentials. 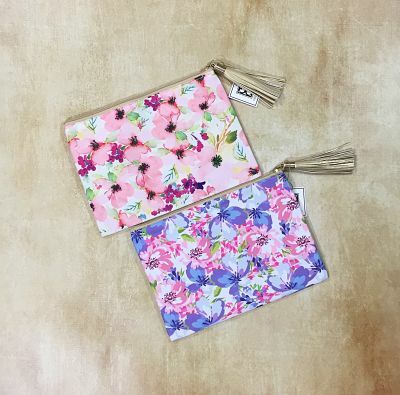 This chic pouch has a beautiful floral background, a white center area for option to monogram, and a fashionable gold vegan leather tassel attached.